Michelle Boyle has recently been struck with a financial difficulty and is unable to keep paying $1,600 for her rent. She lived in a modestly sized home in Pacific Northwest community of Sherwood, Oregon and was well integrated into the community. There was not a street she could walk down without someone stopping her for a chat, but when she needed help the most everyone turned a blind eye. This wasn’t going to stop Michelle from living a decent way of life, she did not want to live on the streets. 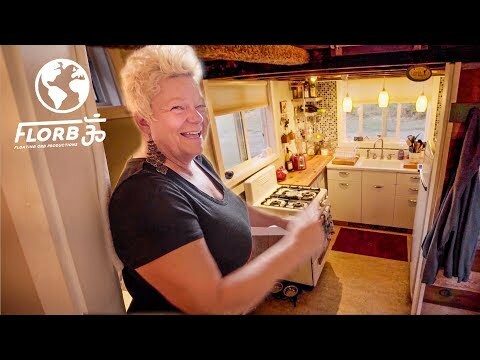 She decided to build herself a 204-square-foot tiny house and pays just $75/month to maintain it. It includes electricity, running water, and WiFi, everything you would need to live day to day.